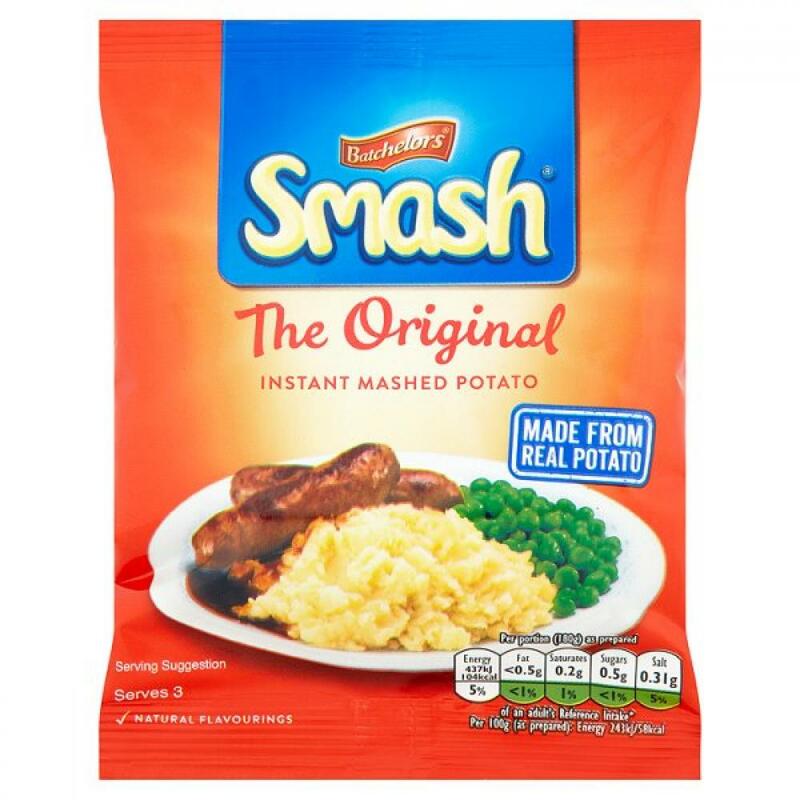 Smash Instant Mashed Potatoes helps you make wholesome and fluffy mash in just minutes. Made with real potatoes and a dash of salt, these spuds simply need to be whisked up with some water to create the mashed potatoes you love. Enjoy this mash as you usually would, topped with butter and pepper, alongside meats and veggies, and atop homemade cottage pie.